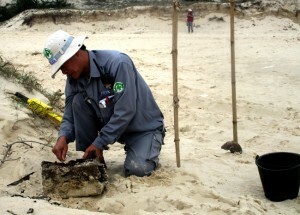 Hai Lang, Quang Tri (23 Feb 2016) – A container of unexploded munitions was discovered Thursday by local fishermen in My Thuy Village as they were casting their nets offshore at what used to be known as “the Wunder Beach” – a former U.S. logistics and support base from 1968 to 1970. 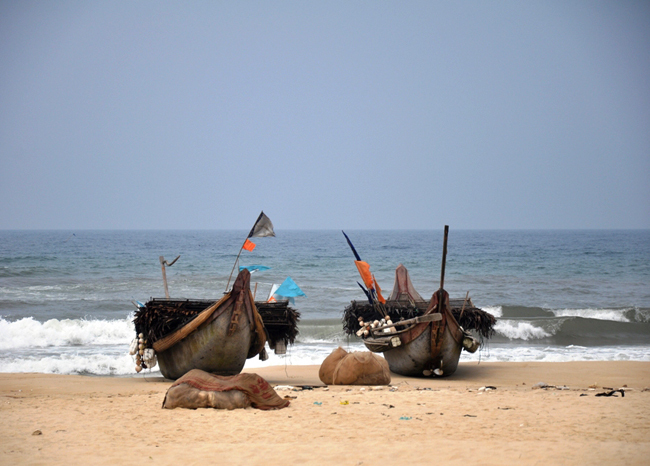 Astonished to find what they had salvaged from the clear waters, the fishermen decided not to dump the dangerous munitions back into the sea as they might have done in past years. Instead, once they reached the shore, they quickly reported their finding to the Hai An Commune’s military officer. EOD Team Leader Le Xuan Tung investigates the container which had been salvaged by local fishermen. 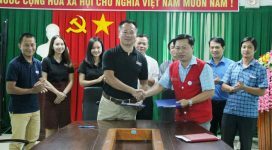 The information was relayed from the military officer to Project RENEW, which dispatched Explosive Ordnance Disposal (EOD) Team No.1 to My Thuy Village on Friday to respond to the emergency. Coordinating closely with local officials, EOD Team members arrived at the beach and carefully investigated the container’s contents. Five hand grenades and more than 500 rounds of semi-automatic ammunition were found inside. 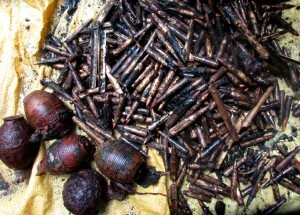 Team members find five hand grenades and more than 500 firearms inside the container. The team transported the munitions to Project RENEW’s Central Demolition Site in Hai Lang District for later disposal, under controlled and safe conditions. In the first week after the Lunar New Year holiday, call-ins by local people of UXO findings, and other UXO uncovered by Project RENEW’s technical survey teams in Hai Lang District, resulted in safe destruction of 134 items of cluster bombs and other ordnance by EOD Team No. 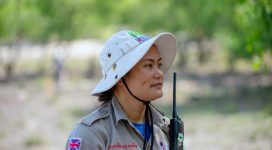 3 managed by Project RENEW and Norwegian People’s Aid (NPA). Project RENEW’s UXO Survey and Clearance Program is funded by the U.S. Department of State through primary partner NPA. 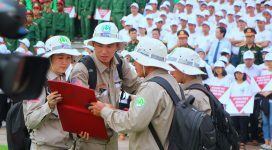 More information about NPA’s work in Viet Nam can be found here.